First Dominion Mutual is mainly a life insurance company although there is mention of it being licensed to underwrite life, accident, and health insurance policies. First Dominion is currently facing bankruptcy and with that is going through the final phases of a liquidation process. Their website is now linked to a document detailing this liquidation process and what it means for former and potential future customers of First Dominion Mutual. Search for a health insurance company with a stable financial future. Click here and enter your zip code to begin comparing rates and health insurance policies offered by local companies now. First Dominion Mutual was originally founded in 1967 and was known as Fidelity Bankers Life Insurance Company. In 1991 when the company first began facing financial troubles it was placed into receivership. Under this, the company name was changed to First Dominion Mutual Life Insurance and a trust was established to manage its assets and liabilities. The company continued to operate in this fashion until recently when its claims exceeded its assets and the company had to file for bankruptcy. In 2011, the company was shown to have a significant amount of debt. As of June 30, 2011, First Dominion was listed as having begun its final liquidation process and would be closing soon. First Dominion’s home city and state are listed as Richmond, Virginia; however, all contact information directs you to an office in Pennsylvania. 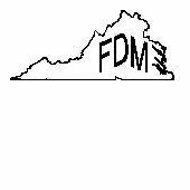 If you need to contact First Dominion you can do so via phone, fax, or regular mail. It is believed that these phone numbers and address are all still operational at this time. When you access First Dominion Mutual’s website you are re-directed to a document outlining the process for company liquidation. Several of First Dominion’s accounts have been taken over by The Hartford Life Insurance Company. The Hartford sells and manages auto, life, and homeowner’s insurance policies, but does not offer health insurance policies. If you have a policy that may have been transferred to The Hartford you can contact that company at (860) 843-5867. First Dominion is no longer accepting any claims. Claims sent from this point on will be returned to the sender. Those customers who are eligible to file a claim and have not had their policy transferred to another company can file with their home state. First Dominion recommends waiting until September 1, 2011 to do so. Additionally, dividend checks that have not been deposited or cashed are now void, and no new dividend checks will be issued by First Dominion. Company payments from 7/26/10 to 5/18/11 are the last payments that First Dominion was able to make as they now list their assets as $0. If you are a former client of First Dominion whose insurance policy is no longer being held by the company, here are some steps you can take to figure out what you need to do and to make sure your assets are protected from liability and loss in the meantime. Different states have different protections in place regarding customers of insurance companies licensed in that state. To find out what your rights and protections are in your state you should contact your state department of insurance. If you have a claim between now and the time you get a new policy do not worry. States have State Guaranty Associations, which step in to pay claims when insurance companies fail. It may take a bit longer to have your claim paid but you should get the money in which you are entitled. If your policy has not been transferred to another stable insurance provider, you should start looking for another insurance company as soon as possible. You will want to begin by researching several companies in your area. Make sure you look for a company with a strong rating from A.M. Best, Standard and Poor’s, or Moody’s. Strong ratings from these companies indicate financial stability. Ask friends and family members for recommendations, visit insurance message boards online, or do your own online research. Next, you will want to get a list of rates from several companies in your area. This way you can combine your research on strong companies with information on insurance quotes to help find a company that is both reliable and affordable. Finally, speak to an insurance agent or the company directly for any providers you are considering purchasing a policy from. Find out what their claims policies are, how often and the reasons why rates would be raised, and what discounts they might offer. Begin comparing quotes for health insurance companies in your area now. Simply click here and enter your zip code for a list of quotes from several companies.